Berta G. Oviedo, 68, passed away on August 23, 2018 at her home in Harlingen, Texas. A native of Rancho el Chocolate, Guanajato, Mexico, Berta was born to Reynaldo Granados Palacios and Rita Sanchez de Granados on June 29, 1950. She was of the Catholic faith and enjoyed plants, sewing, and stitching. 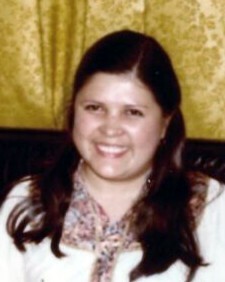 Berta was preceded in death by her parents, Reynaldo Granados Palacios and Rita Sanchez de Granados, and brother, Ramon Granados Sanchez. She is survived by her husband, Jose Oviedo, Jr.; daughter, Ariana Oviedo; brothers, Reynaldo Granados Sanchez, Rogelio Granados Sanchez, Ramiro Granados Sanchez, Rene Granados Sanchez; sisters, Rosa Maria Granados Sanchez, Maria Raquel Granados de Valdez, Ana Granados Sharp, Rita Granados Sanchez. Visitation will take place on Wednesday, August 29, 2018 from 3:00 to 9:00 PM at San Benito Funeral Home. A recitation of the Holy Rosary will begin at 7:00 PM. A Mass of Christian Burial will be celebrated on Thursday, August 30, 2018 at 10:00 AM at St. Benedict Catholic Church. Following the funeral mass, Berta will be laid to rest at Mont Meta Memorial Park.